LoveWell Home Care is a locally owned and managed non-medical home care agency serving Southeast Michigan. It is our mission to provide the highest quality home care services in an effort to improve our client's quality of life and help them remain safe and independent in the comfort of their homes. We have an unyielding commitment to exceed expectations by providing exceptional care and support, while offering empathy and compassion in our daily interactions. A little help at home can make life safer and more comfortable as we age. LoveWell will match our caregiver to your specific needs and schedule, providing the perfect level of support to stay happy, healthy- and live independently. LoveWell caregivers partner with our clients to assist them with daily activities of living and create an environment of wellness as they age. We frequently become an extension of the family, performing many of the tasks the family would if they were available. In the process, we develop a relationship with our client and family members. As our client’s age and needs change, we become a resource to them and their family members to assist them in navigating the aging process. At LoveWell, it is a privilege to care for our clients. 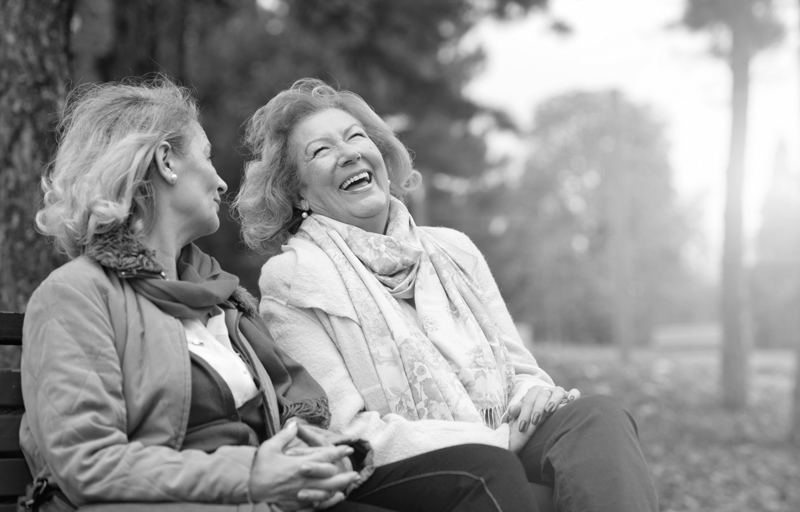 We believe in restoring dignity and delivering care with respect. Our caregivers are recruited for their skills but hired for their heart. We truly believe that caring for others is loving well. You have peace of mind in knowing that LoveWell is bonded and insured. We interview and thoroughly screen every caregiver before hiring them. Only the best meet our standards. Our leadership team communicates regularly with our caregivers, our clients and their family members so all our informed and connected. We’re on call 24/7 to make sure you always get the best possible service. looking to make a difference in someones life? Lovewell Home Care (formerly Kindred Spirits Senior Care) was founded in the Fall of 2011 by Northville resident Kristin Kolasa. With her educational background in Family and Community services, Kristin's passion has always resided with the older adult population. Her experience ranges from working at local senior centers, adult residential communities, private duty home care, and in hospital settings. The idea for Lovewell Home Care (formerly Kindred Spirits Senior Care) came about after Kristin and her mother Renee cared for a local homebound Northville resident named Richard. During the three years they cared for him, he became a part of the Kolasa family. When Richard passed away in early October of 2011, Kristin and Renee were at his side. Kristin's mother always said that she and Richard were "Kindred Spirits" and that became the inspiration. Although our name has changed, the “kindred spirits” way of caring remains and thrives. "We are in the business of loving others well and as if they were a part of our own family," Kristin says. "Lovewell Home Care was founded and continues to operate under one simple rule - the Golden Rule. We do unto others as we would do unto ourselves." It's that simple! Lovewell Home Care has developed a compassionate caregiver community and a process to deliver care with transparency and trust. We truly value the work our caregivers do and always treat them with respect, in turn, our empowered caregivers provide the best care. Our entire team believes it is a privilege to provide care to our clients and support to their families. A privilege we are passionate about and take to heart! Thank you for taking the time to visit Lovewell Home Care... where caring for others is loving well.